Maldives' former home minister Umar Naseer has planned to hold a mass protest over the continued use of the two helicopters gifted by the Indian government. The warning came days after Maldives military had resumed operating the two helicopters after renewing the agreement with its neighbours. Maldives under former president Abdulla Yameen Abdul Gayoom had returned one of the choppers in May and had asked India to remove the second by the end of June. However, after extensive discussions between both sides, the then Maldives government had extended the deadline to remove the helicopters till December. 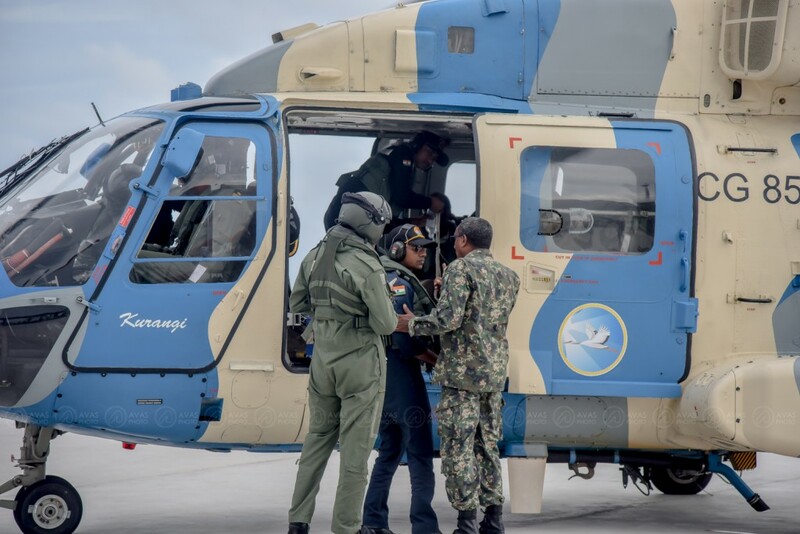 However, the new government had said the helicopters would remain which was confirmed by the country's new president Ibrahim Mohamed Solih last month. There had been reports that the then government had been concerned by the presence of Indian navy staff who are stationed in the Maldives for the maintenance of the choppers. India had reportedly stationed six pilots and over a dozen ground personnel to operate the choppers and also help the Maldivian National Defence Force (MNDF). However, president Solih said downplayed such concerns insisting that the helicopters are flown under the strict instruction of the relevant Maldivian authorities. "Though the helicopters are flown by Indian pilots, we tell them when and where to go," Solih stressed. The outspoken politician Umar Naseer however, accused the government of "lying" insisting that the helicopters are flown under the direct instructions of New Delhi adding that it had been confirmed by the last three defence ministers. "The next mass protest in the country would be against the presence of Indian military personnel in the Maldives," Umar said.